Mark Le Fanu makes the case for placing Kenji Mizoguchi – staunch moralist and consummate stylist – at the pinnacle of Japanese film achievement. 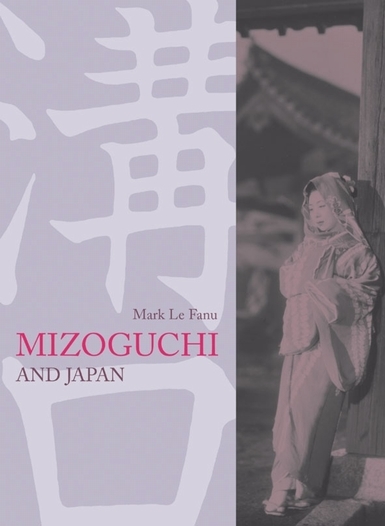 Mizoguchi and Japan is the first full-length study for over 20 years of a director hailed by Cahiers du cinma as 'the greatest of all cineastes'. On the surface such a claim might be considered controversial since, for a majority of Western cinema-goers, the names more usually associated with classic Japanese cinema are those of Kurosawa and Ozu. Mark Le Fanu's admiration for Kurosawa and Ozu is second to none, but here, in his long-awaited new study, he makes the case for placing Mizoguchi at the very pinnacle of Japanese film achievement. As a storyteller, Kenji Mizoguchi (1898-1956) was drawn to the plight and oppression of women throughout the ages – it was for him the 'subject of subjects'. He is remembered for a string of masterly films that examine, with unprecedented candour and ferocity, the conditions of Japanese brothels and geisha houses. Yet Mizoguchi was a stylist as well as a moralist. From a purely pictorial point of view, his films are among the most beautiful ever made. Filmgoers who have responded enthusiastically in recent years to Chinese classics like Farewell My Concubine or to the movies of Zhang Yimou will be delighted to discover 'pre-echoes' of this cinema in such late films by this Japanese master as The Empress Yang Kwei Fei and Tales of the Taira Clan (both released in 1955) – works in which colour, costume and decor are deployed with compelling refinement.